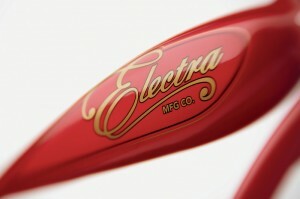 We are proud to announce our latest cycle brand – Electra Bikes. Mike and I have viewed many brands and have managed to secure a contract for Electra, making us the first dealer on the South coast. We were looking for a brand that was stylish and practical. Something that was cool for the boys and fashionable for the girls. 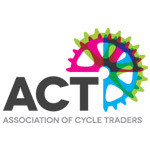 Much of the sales we have generated over the past years have been in the Performance race bike section.Helped in no small part by the Olympics and Tour de France victories for Brits recently. However The largest portion of sales has been in the Leisure bike market. 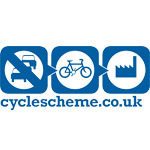 We have been selling practical commuter and leisure bikes supplied by Ridgeback and Trek and wanted something a little more fun to add to the selection. 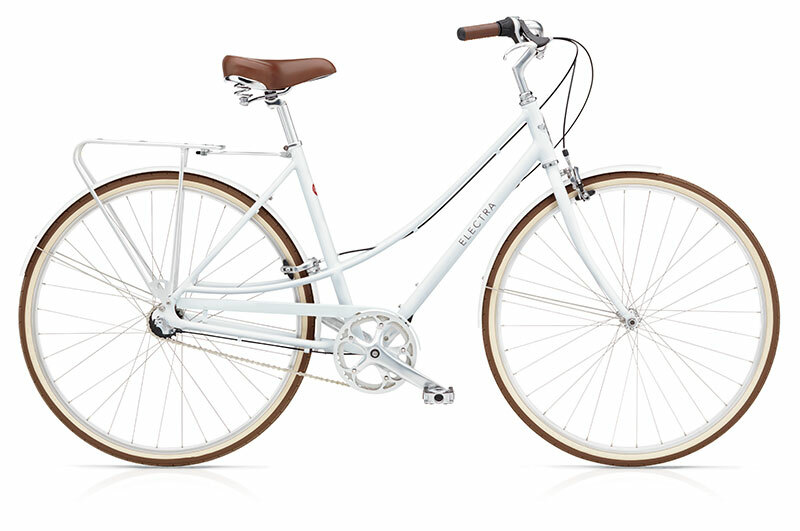 Electra provide good quality , lightweight, modern cycles with retro styling. Prices are between £375 and £2000 for the Townie Go – electric bike . All the cycles are designed to have an upright position and the pedals are slightly further forward so this allows for the rider to extend their legs but still be upright. More information about Electra Bikes. Electra Headquarters are in Vista, CA. Benno Baenziger and Jeano Erforth founded the innovative bicycle company in 1993. 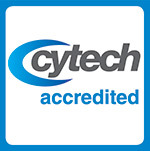 Electra is the leading brand in recreational cycling in the Independent Bicycle Dealer Network in the USA, showcasing a wide range of Sport, Fitness, Urban, Commuter, Cruiser and Lifestyle bicycles along with a full line of bike parts and accessories. In spring 2009 Electra Bicycle Company, GmbH, was founded as the European headquarters, to expand the European presence of Electra. Axel Kedenburg heads Electra’s daughter company, Located in Hamburg, Germany. For Co-CEOs Benno Baenziger and Jeano Erforth, it began on the bustling streets of their hometown of Berlin, where cycling is not only a mode of transportation but an integral part of life. The two would meet unexpectedly years later in a Southern California beach town, where Benno’s initial designs for stylish, affordable cruisers for the young 20-somethings met Jeano’s business savvy and respected sales skills. The year was 1993, the mountain bike had captured America’s attention and no one was paying attention to the cruiser segment. Baenziger and Erforth knew that with a little modernization, the Electra brand could reinvent the vintage cruiser with modern mechanics and ergonomically innovative angles, while preserving the nostalgic looks. After establishing a foundation in the industry with its Cruiser Collection, Electra announced its second line the TOWNIE® in 2001, setting another benchmark in bringing cycling to the non-enthusiast market. Rather than retrofit mountain bikes for the larger segment of casual riders, Electra creatively re-engineered the traditional design and incorporated their »Flat Foot Technology®«. This revolutionary ergonomic design is based on rotating the traditional road bicycle riding position backwards about 23 degrees, lowering the saddle and moving the pedal position forward. In this position you maintain proper leg extension to create torque, power and efficiency. A unique benefit of the Townie® is a more balanced, upright riding position. Sitting with a lower centre of gravity and straight back gives you better control, reduces tension in the neck, shoulders, arms and wrists and allows a wider view of the road so you can enjoy long rides with less fatigue. 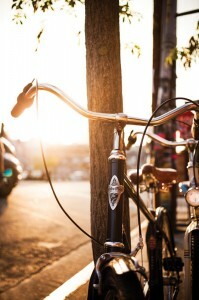 Electra has become the best selling Leisure bike Brand in America, Russia and a number of countries throughout Europe. The comfortable riding position and the stylish designs have become a hit with celebrities. You do not need to dress in specialist clothing to ride one. You can take the longer way home and enjoy the ride!